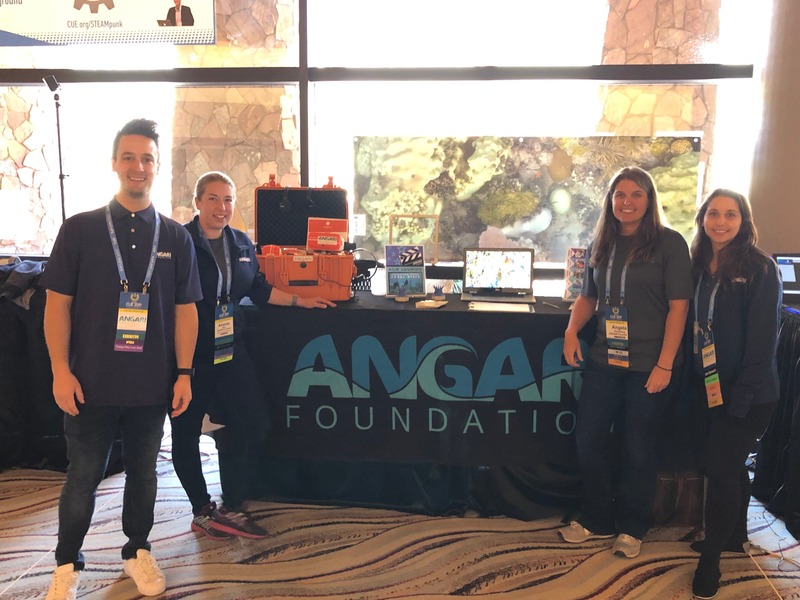 With an invitation to share ANGARI Foundation’s vision for 360/VR use in classrooms, our team headed out to Palm Springs, California to attend this year’s Spring CUE 2019 conference. Over the three-day conference, we met with members of the education and technology communities and shared our “Generation Ocean: Coral Reefs” film and recently developed lesson plans with California and Nevada educators. Thank you to Steven Sato for inviting us to attend this year’s Spring CUE. We are looking forward to working together to share marine science across the country.